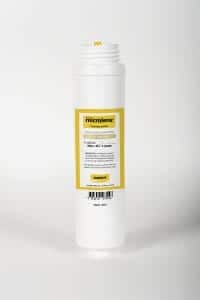 Premium under bench mains water filter replacement. Quick connection. 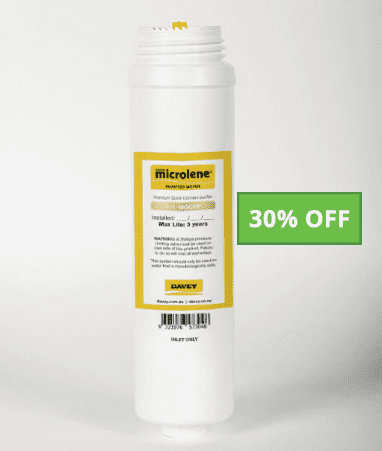 Microlene under bench drinking water kits reduce unwanted contaminants including chlorine, pesticides, sulphur, rust algae, odours, asbestos, aluminium, lead and also filter sediment and cysts such as Giardia and Cryptosporidium. The activated carbon is silver impregnated to resist bacterial growth inside the cartridge. The premium model also includes a KDF media layer to reduce the load on the activated carbon to give a working life of up to 3 years, unlike standard carbon filters that require replacement every 3-6 months.